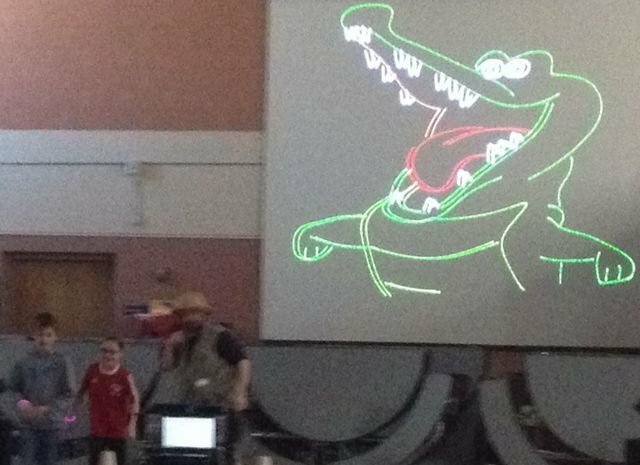 On Thursday, March 19th, Wakelee students enjoyed a Laser Safari presentation from Prismatic Magic. Prismatic Magic is a school assembly program provider and high-tech laser show company in one. Their mission is to dazzle and inspire students of all ages to seize the opportunities that science and technology offer to enhance their educational and professional development. They create incredible laser shows full of entertainment and education! Today's assembly was on the Serengeti in Africa, and the animals inhabiting it.